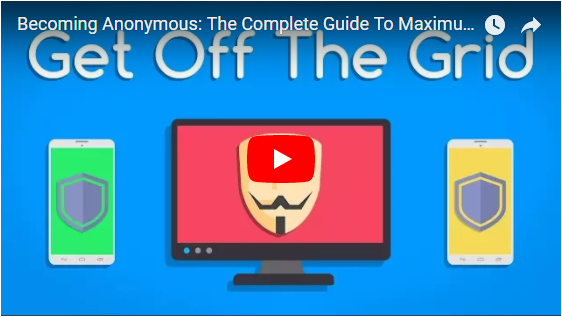 Video tutorial showing how to become anonymous, hide you internet traffic and identity, and browse the web freely without any fear of privacy invasion or any security concerns from your Government, school, or organization (NSA, CIA, FBI). 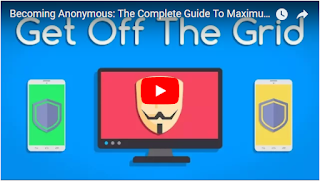 Going off the grid and becoming fully anonymous (hiding your online identity) is not 100% possible, because of how the internet works, but we can do everything we possibly can to get as close as possible to anonymous. In this video guide, I will show you how to secure all of your devices--such as computers, phones (iPhone vs Android), tablets, and anything else, by securing your passwords, using two factor authentication, securing your web browsers (Mozilla Firefox & Tor), using a VPN (NordVPN or AirVPN), securing social media (Facebook, Snapchat), your communication like texting and email (Signal and Protonmail encrypted messengers), your operating system (Linux), and much much more! I will also cover deleting a majority of your online identity/fingerprint to hide as much information about you as possible, in addition to give you tips on how to prevent social engineering attacks.